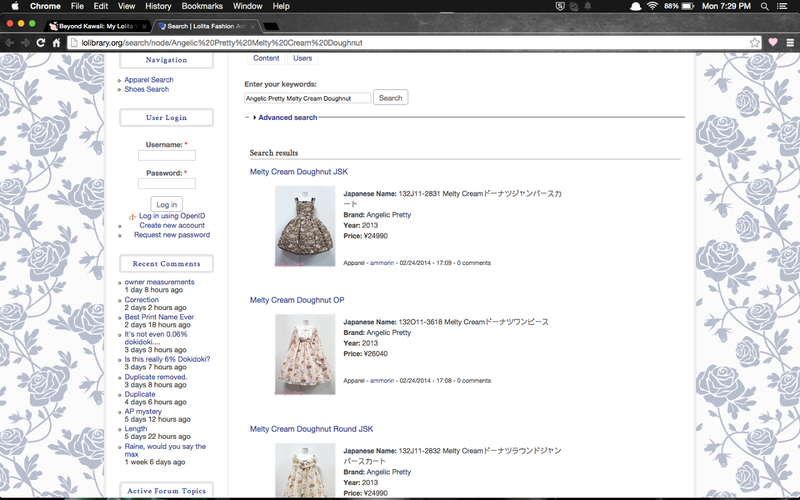 I've been on a web development roll lately, and I'm happy to finally post about my extension FrillSearch! 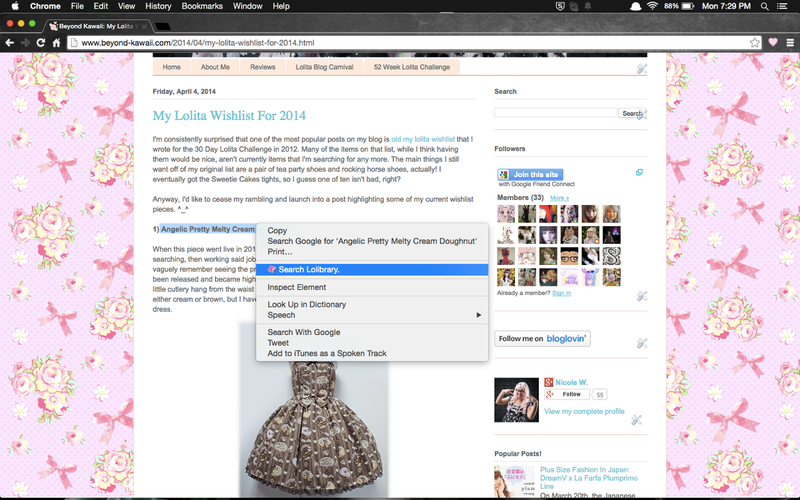 FrillSearch allows you to highlight text then click a menu item to directly search Lolibrary instead of having to first Google the keywords first then end up clicking through to Lolibrary anyway. I love the site so much, and I wanted to give back a little bit of cool functionality to somewhere that I love so much that will often be the only place to contain measurements or just interesting historical information about release years. 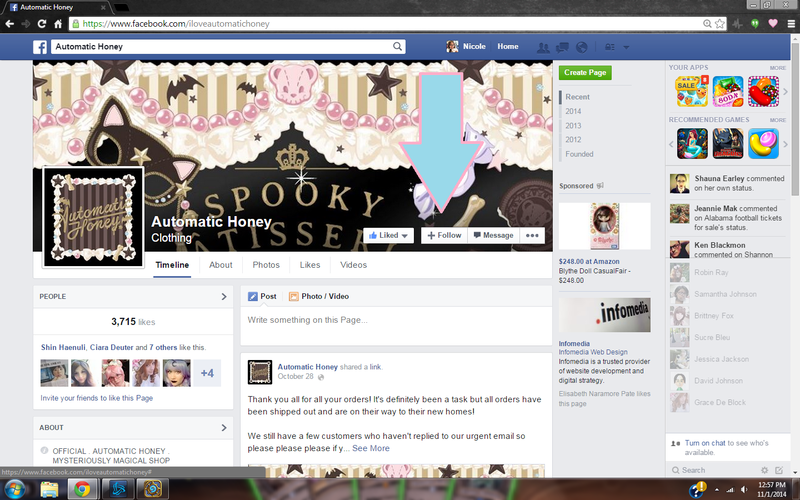 Lolibrary was even so kind as to feature my extension on their Facebook page! Thank you for any downloads of the extension, and please comment below if you have feedback. I've consistently seen complaints about Facebook's practice of excluding items from your feed even from brands you love so that if your'e not on top of constantly monitoring their page and Facebook isn't kind enough to actually show the latest posts, you end up missing out on the latest small release. Today, I just wanted to post a quick 'how to' to better help get the pieces that you love. Just type in the name of the page you want to go to at the top to visit the page. At the top, click on the "Follow" button, pointed to in the picture above with the bright blue arrow. After clicking the follow button, you will now get notifications every time that the owners of the page post to the page. While you may end up with a few less than interesting posts, you now have a better chance of being able to keep up with indie releases for smaller companies like Automatic Honey and Cute Can Kill.